Dekker Dreyer | Already April??? Home » etc » Already April??? What have I been up to? Well, glad you asked. 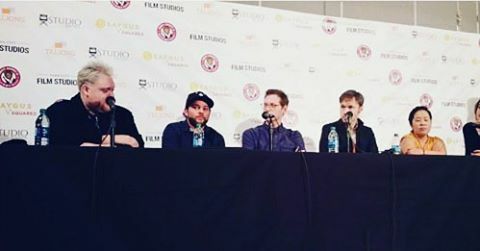 Waaaay back in January I was excited to be a jury member at the Slamdance Film Festival (Variety) and to give a talk there about storytelling in Virtual Reality alongside Kim Adams from Google Spotlight Stories, Jacquie Barnbrook who did the VR experience of The Martian, Matt Collado from Littlstar.com, directors Diego Querzoli and Rodrigo Cerqueira. I also spoke at Sundance for an actors in VR panel and about the future of feature distribution at Latino Reel. We released an immersive film called Coyote and it’s had a huge response even getting feature on Youtube’s 360video channel. I announced a new VR anthology series with a Black Mirror flavor called “Broadcast” that we’re currently buttoning up some scripts for. We’re still hoping to get it out by July, but we want it to be amazing. 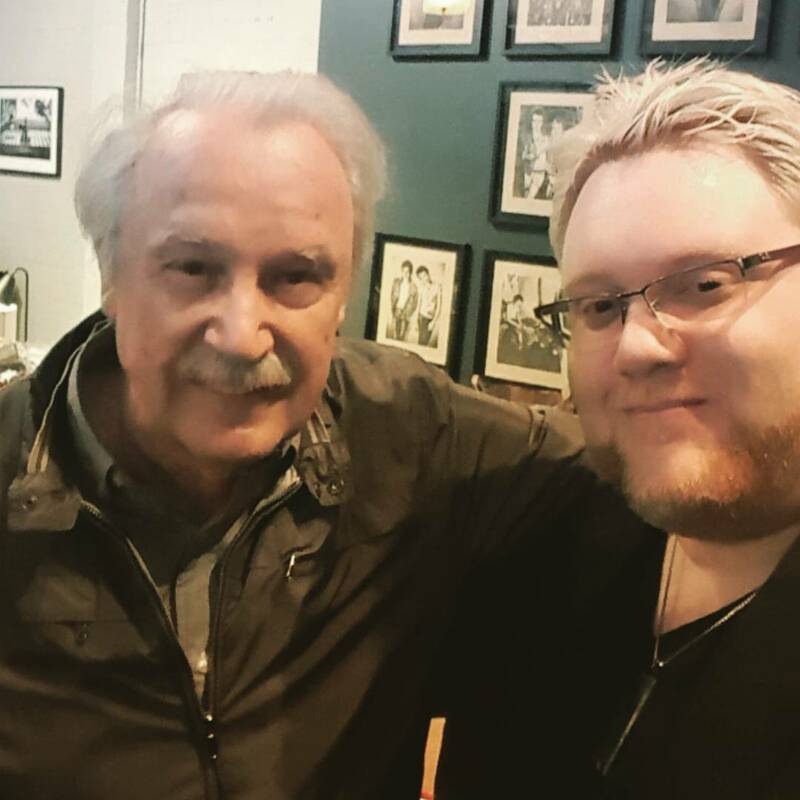 Cyr3n and I got to meet one of my favorite musicians Giorgio Moroder at an event that Disney was holding for Tron. Talked to a room of cable industry folks at Multiscreen Summit in NYC, judged the student Emmy Awards, talked to the Producers Guild about VR storytelling at USC. 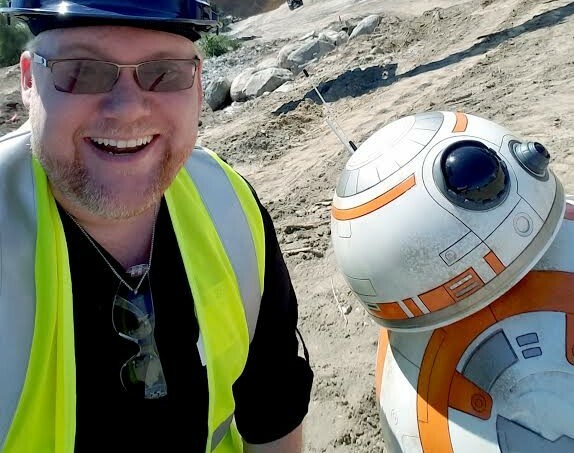 Made friends with BB8 on a super secret shoot I did for Disney and Lucas Film. 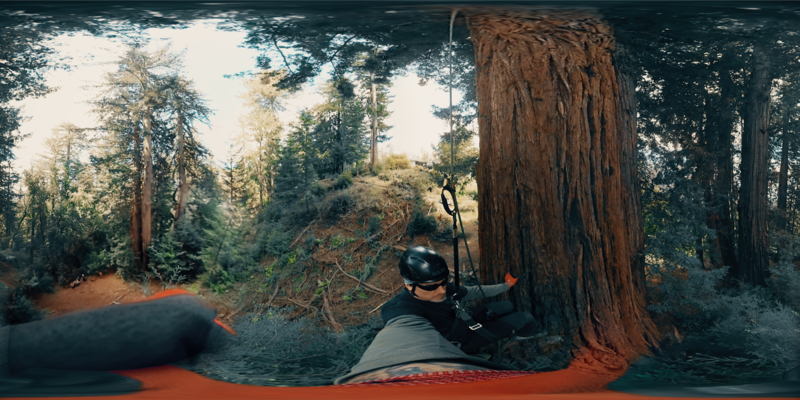 Shot a fantastic VR documentary for Participant Media on the California Redwoods that will be releasing soon. 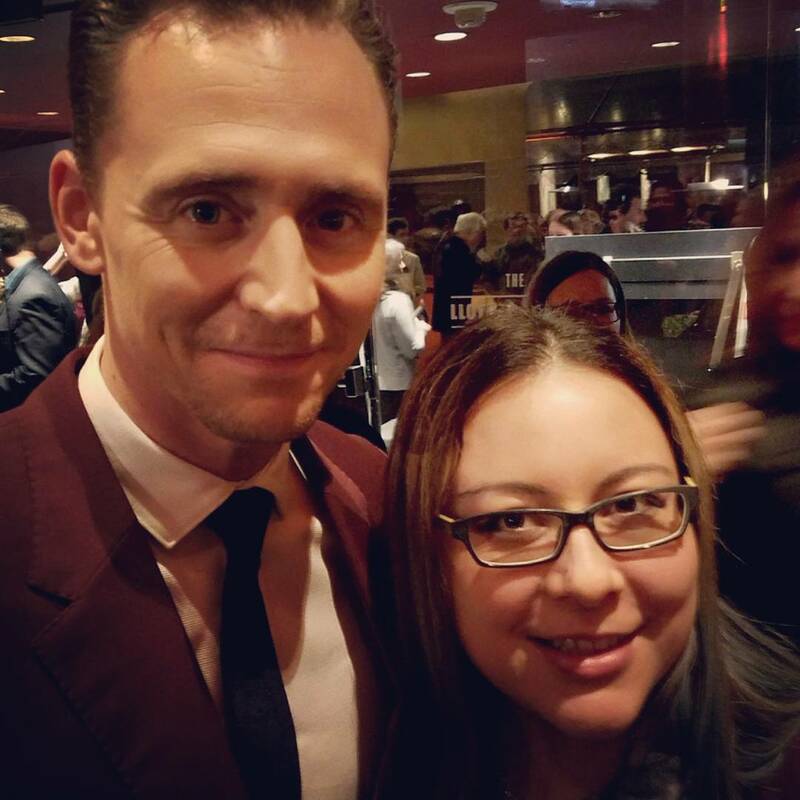 At the premiere event for AMC’s Night Manager Cyr3n and I got to play Reindeer Games with Marvel’s favorite villain. Huge thank you to the sitcom Baby Daddy for hosting the first night of shooting on a feature I’m making with Joe Kaplan called “I’m Just Warming Up” which follows the lives of TV warm-up comedians. Those are the awesome things. Unfortunately I was scheduled to direct an immersive theater event with Cirque and Think Tank in LA, but it fell through. It was even listed on their site, but sometimes things happen. I know some people bought tickets and I apologize. The issue was a venue / producer issue and I couldn’t help it. A million other things happened in the last three months. Lots of writing and shooting and other projects coming soon, so stay tuned.